At the appointed time on the appointed day, my brothers and I went down to the barber. Wise. Handsome. Tall. Athletic. Strong, yet with the gentle touch and dexterous hands of a surgeon. 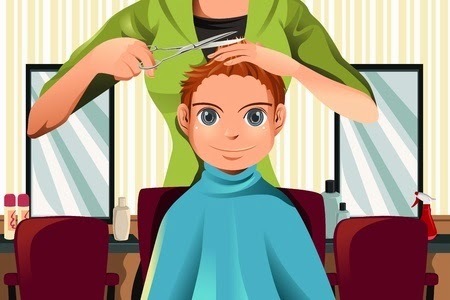 To cut the hair on the far side of my head, he didn’t spin the stool, and he didn’t walk around the chair either. Rather, he snuggled my head over against his chest so he could reach over to the far side, Working from above. I could hear his breathing. I could feel his breathing. I could feel his heart. When the whim struck, he blew away the loose hairs from my neck or face with a burst of his own breath. How the years went rushing by! Looking back past all those years, I wish my dad still cut my hair. The glory of children is their father….